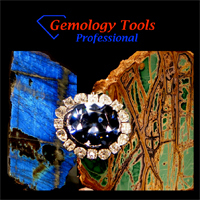 GemologyOnline.com • View topic - What does GDT stand for in gemmology? What does GDT stand for in gemmology? Post subject: What does GDT stand for in gemmology? I know this may be elementary for most of you. but its the first time for me! Reading through old exam papers I found a reference to GDT. What does it stand for please? Post subject: Re: What does GDT stand for in gemmology? Can you please put this in context of how it was used? The views expressed here are the author's opinions and do not necessarily reflect those of the his employer. It's a badly posed exam question and I managed to transpose two letters. Q : What is GTD? Give 4 observations that would help you identify a GTD? I'm not sure its fair to use abbreviations in exams. This is the first time I have seen garnet topped doublets referred to in this way but I guess its in common usage. Were they made initially to reduce costs? It seems like a lot of work unless there is financial gain. Were garnets rarer and more expensive in the past? Wikipedia has a nice page on doublets that contains the most important points. Can we become, or must we be? GTD is a silly synonym for a garnet and glass doublet. Im not a particular fan of "GTD" as it isnt terribly informative since the glass component is not described. 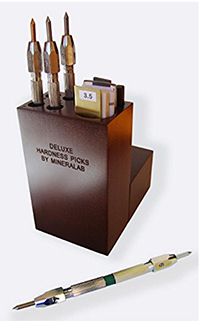 They were made purely to act as a cheap simulant for expensive stones, namely Ruby, Emerald and Sapphire, while still providing some increased measure of abrasion resistance compared to glass alone. I can't imagine anyone this century talking about them so much that they needed an acronym. I agree with you - I think we are heading towards language disaster with everyone over using acronyms! I never use them in exams and find them irritating in any context. I went on a search for examples of doublets mainly at jewellery auctions and had no luck. I eventually got a nice example from a kind member on this forum for my collection. YAG, CZ, SG, RI, LWUV, SWUV, GIA, AGL, CIBJO, NAJA ? I think there are several acronyms which are professionally appropriate....GTD threw me off, even though I see them with some frequency, I always call them garnet and glass doublets. 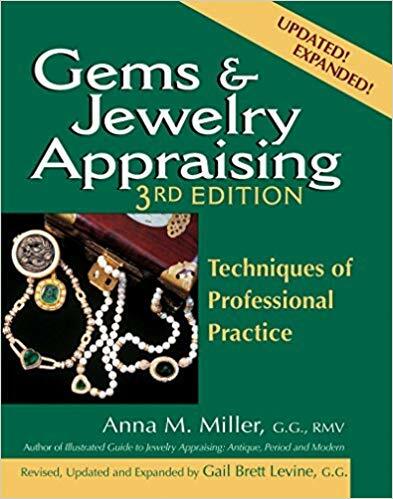 I sometimes wonder if some examiners are purposely trying to trip students instead of testing depth of knowledge in gemmology. I'm with Stephen Challenor on this one, it must be 50 years since I saw a doublet of any description, and even then it had been picked out of some old jewellery. I just saw this post as I rejoined only a few weeks ago, sorry for being so late to the party. But... I just saw two garnet topped doublets last week. They were mixed in with an older gentleman's jewelry store excess/bad stock. I was thrilled to find them! I try to collect as many fake/simulants/synthetics/treated and real, untreated stones as I can of all different types to really be able to see the difference when I test stones. These are red garnet on top with green glass below.